The best part: They all have English subtitles! Who isn’t obsessed with Korean beauty these days? From skincare products featuring some strange but hardworking ingredients, to adorably packaged makeup that thankfully aren’t just about appearances, Korean beauty has converted tons of people from all over the world. Are you looking to expand your knowledge of K-beauty? Check out these online gurus for their highly informative and entertaining videos on masks, cushions, lip tints, and more! U:na primarily focuses on skincare, tackling basics like the proper way to cleanse and finding the right sunscreen. Her video on the different kinds of makeup sponges and puffs is pretty helpful, too! We love Bambigirl for her fun, energetic way of delivering her spiels—you’ll never get bored while watching this girl! Content-wise, we particularly enjoy her videos on new product launches. We’re always finding things to add to our wishlists! If you get a kick out of seeing other people’s enormous shopping hauls, then Hanbyul’s channel is for you. We particularly love her reviews and comparisons of cushion compacts, which she tested within a set period of time. Though not all of Dayeong’s videos are subbed in English, the ones we find particularly useful are! Her makeup tutorials, which range from the everyday to the fanciful, are what convinced us to tune in. So Young’s channel has a little bit of everything, from new collection impressions to idol-inspired looks to product comparisons. 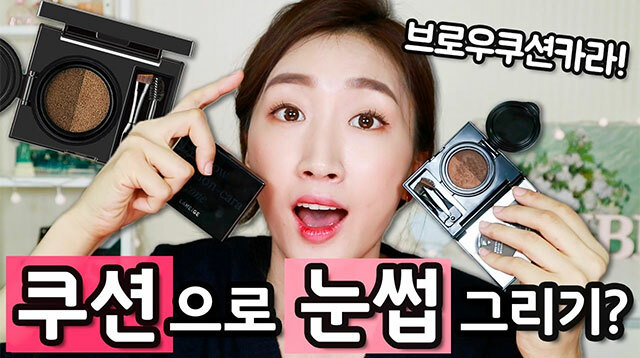 One of her newest videos pits two similar products against each other—one is Korean and affordable, the other is French and high-end—to help you decide which one is worth buying. Arguably the most well-known name on the list, Pony’s success stems from her makeup transformations and tutorials that enhance her features. She even has a cosmetics line, PONY Effect, under her belt!